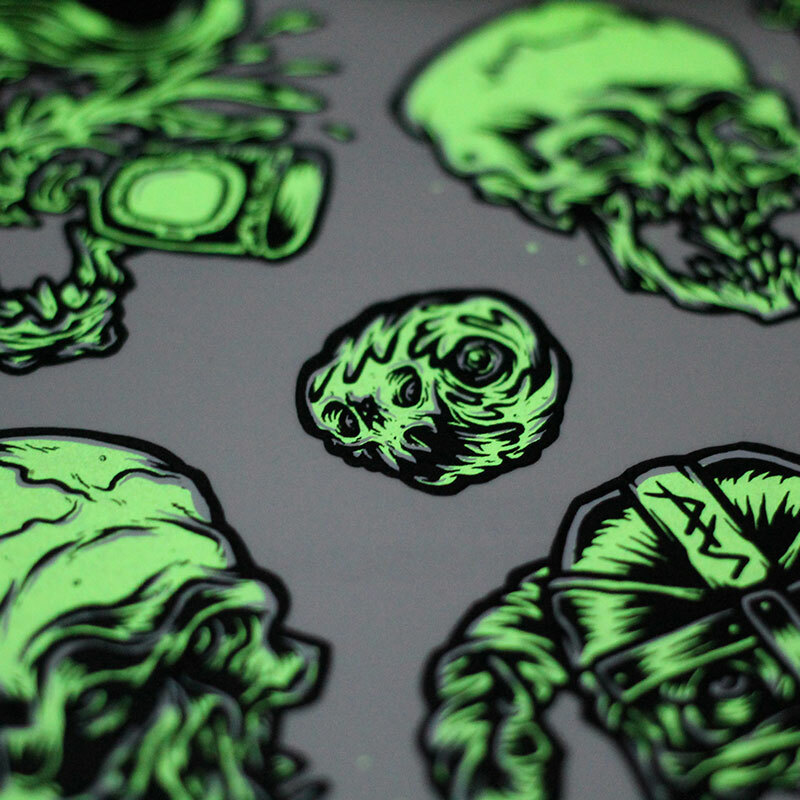 Glow in the dark sticker pack – Each pack contains 13 screen printed skull stickers. 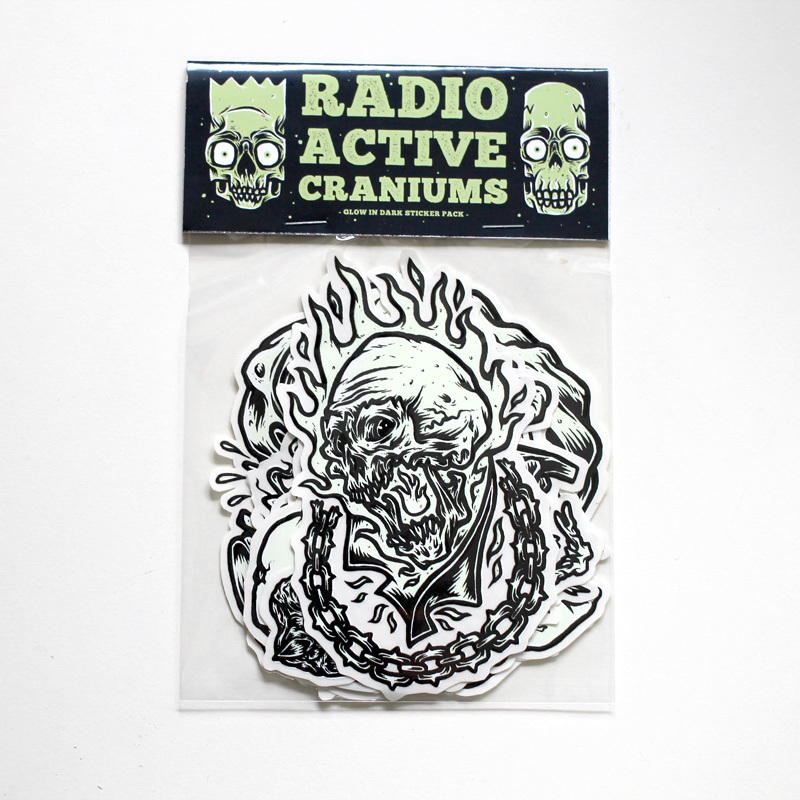 Hand screen printed – 3 colour screen print on clear sticker vinyl. 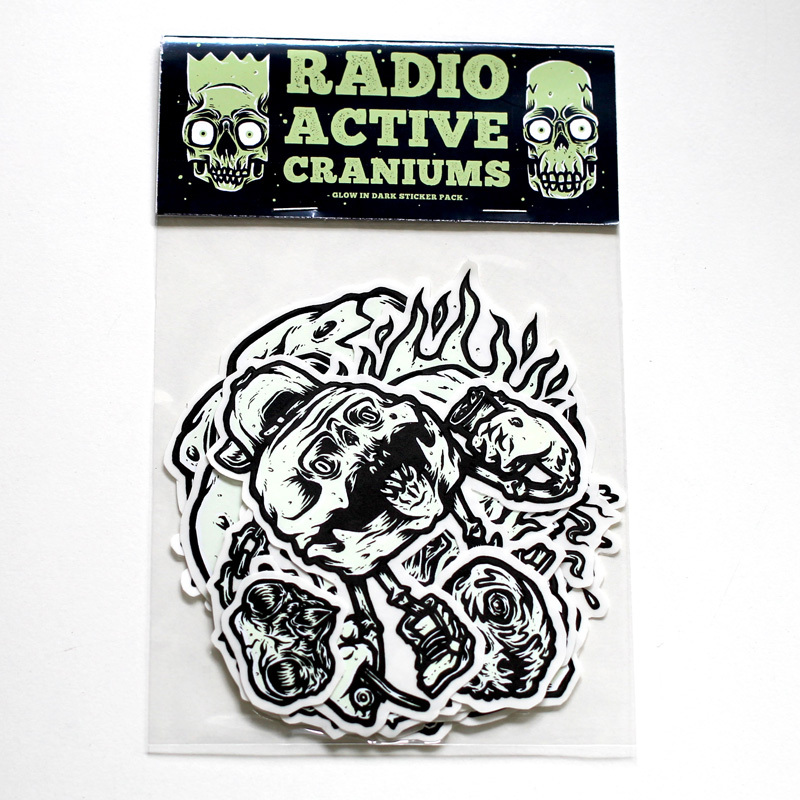 All orders are sent out in card backed envelopes, 1st class – signed or international tracked.